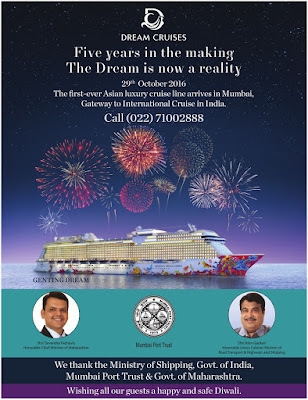 The Mumbai Port, one of the oldest in the country, will be investing Rs.225 crore to build a modern passenger ter minal that can cater to cruise ships. Work on the terminal, which will resemble an airport and have the capacity to handle thousands of passengers disembarking from a single ship, will be over in next two years. The port trust, which would welcome its first big cruise ship today, has dedicated a berth to such ships and expects to get 59 ships by next May.This will go up to 100 in the season after it and to 150 the year later. Every ship will bring at least 2,000 passengers, which will support the local economy, he said. 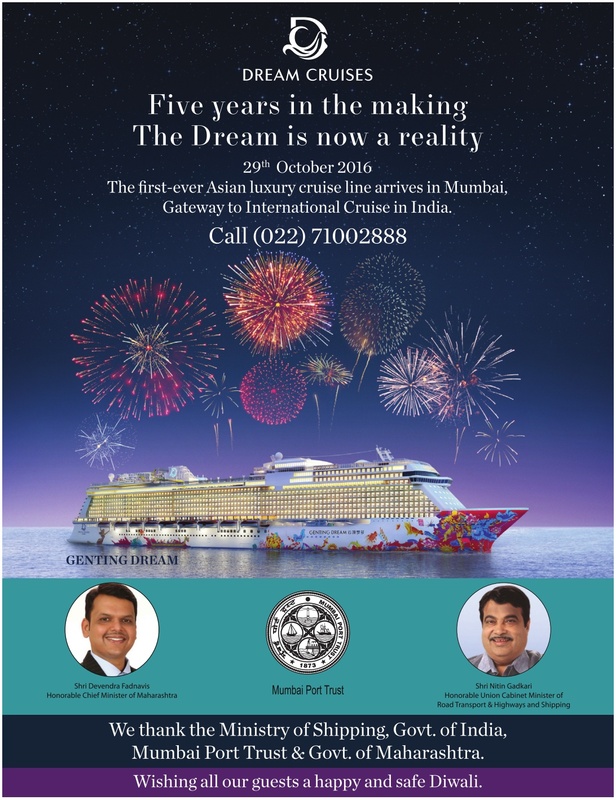 `Genting Dream', on her maiden voyage from Germany, will be calling on Mumbai port today. Bhatia also said that the port has reached an agreement with Costa Ships for a long term use of facilities. Till the new terminal gets ready, the port will use the existing facilities, certain facilities have been upgraded. The port is also giving a slew of incentives to cruise operators. These include doing away with hosting charges, concession in cruise charges and standard operating protocols for customs and immigration checks. The port is also looking to tap the domestic opportunity. The port has appointed a global consultant to study domestic cruise tourism and ways to popularise it.